Characters, like creatures, offer us comfort. 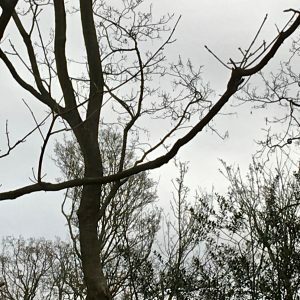 Social media was alight with fond reminisces of Winnie-the-Pooh on January 18th. Winnie-the-Pooh day commemorates the birth of his creator, A.A. Milne. Alan Alexander Milne’s creation of Winnie-the-Pooh emerged from tales created for his young Regents’ Park Zoo visiting son. Winnie-the- Pooh has become one the best-loved, most published and quoted characters in reading history. Winnie-the-Pooh offers acceptance and certainty, like many story book characters. 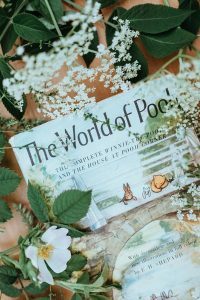 Readers of ‘Winnie-the-Pooh‘ and ‘The House at Pooh Corner’ know the comfort offered in reading. ‘So do I,’ said Pooh. At the end of WWII, Larry and his older siblings are sent to Barnfield Hall. Their parents are looking for somewhere for the family to live. Larry found Grey Bear deserted in bombing rubble. Grey Bear remains grey, despite vigorous cleaning. As Larry’s sidekick he has experienced insult and injury. Now they’re stepping into the library of The Lost Magician on the forbidden top floor. Larry feels safe with Grey Bear. There is comfort offered in reading Larry’s experiences. We empathise with his fear. His siblings undermine him, while he is mocked at school- ‘Pansy‘. Daddy just shakes his head. Researcher, Dr Sarah Shea suggests A.A. Milne suffered Post-Traumatic Stress Disorder from his WWI experience. At the Battle of the Somme he witnessed the deaths of his best friend, and his best friend’s brother . As a Cambridge mathematics’ graduate, A.A. Milne was responsible for leading his platoon across the Somme front line. They were to lay a communications’ cable between battalion and brigade headquarters. This exercise resulted in sixty fatalities and more than a hundred injuries. The mission commander abandoned the task. AA Milne was rehabilitated to England when he contracted trench fever. In the War office, recovered, he created propaganda to convince the public of the merits of the war efforts. The comfort of reading and telling stories to his young son, led to ‘Winnie-the-Pooh‘ and ‘The House at Pooh Corner’. Bear could sleep for days, maybe months, but Duck wants to play. Bear seeks time alone with his thoughts. He’s after a week in the silent woods. Duck considers that Bear needs shelter, food and Duck’s company. 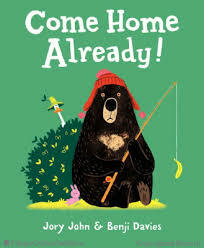 Duck seeks ‘quality time’ with Bear, needing his approbation. He wants Bear to know how much he cares for him, and hear the same feelings from Bear. Bear wants peace and quiet. 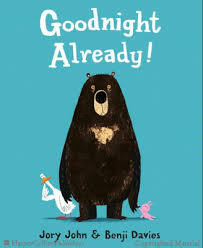 Three wise, warm and wonderful picture books are Goodnight Already!, Come Home Already! and I Love You Already! 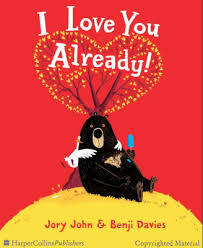 by the incomparable Jory John and Benji Davies. What knowledge and understanding for the characters’ needs, differences and relationship. Readers fortunate enough to share these stories know more than the comfort offered in reading. They know the comfort offered by real characters, their relatable relationships, needs and responses. 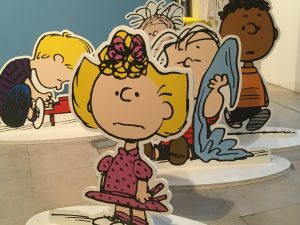 Recently I visited the Charles Schulz exhibition at Somerset House. Reading ‘Peanuts‘ was a staple of my childhood. I collected the characters and bought the books of comic strips. 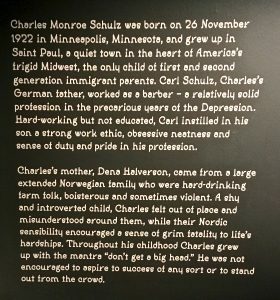 Charles Schulz used his lifetime experiences in his cartooning. His childhood dog Spike became Snoopy. Spike was a bitzer, although Schulz’s Norwegian and German parents liked the word ‘beagle’ and called him thus. When Charles Schulz visited his dying mother, she offered that she’d call any future dog, Snoopy. The name stuck and a cartoon beagle was born. Charles Schulz shared Charlie’s failures, sense of inadequacy, hopes and aspirations, and love of red-haired girls. His cartooning was borne from a weekend habit of reading the ‘funnies’ with his father. There was a comfort offered in reading these together. Charles Schulz, like A.A. Milne, had a difficult war experience. He said it was the loneliest time of his life. Like A.A. Milne, he used this experience to create characters. Linus was a member of his platoon. There was another called… Charlie Brown. Storytelling expanded his experience and feelings. 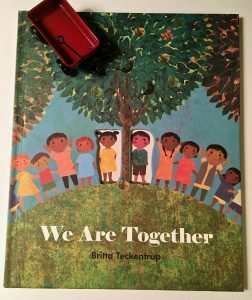 Picture book makers Jo Weaver and Britta Teckentrup offer something reassuring in their creations, also. In We Are Together we are reminded, in verse, of our community, that we are stronger together. Jo Weaver confirms the bonds of love and union in the beautiful Little Whale. Bookwagon has followed the stories of Ella and Dani since My Happy Life. 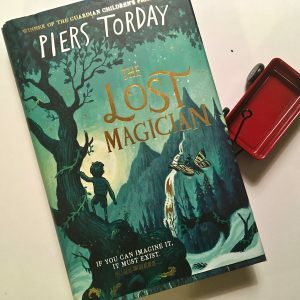 This series, although ideal for newer readers from six or seven or eight years of age, pulsates with a respectful, mature sensibility. Many years ago I had a ‘best’ friend. She was my first best friend. I loved her. When her family moved away I was distraught. 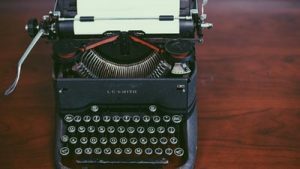 We wrote a little, but were six and seven years of age. 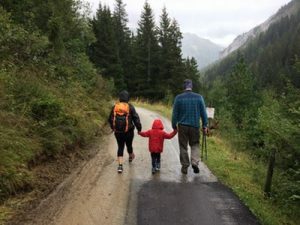 My family promised we would visit, but time passed. We lost contact. It hurt. 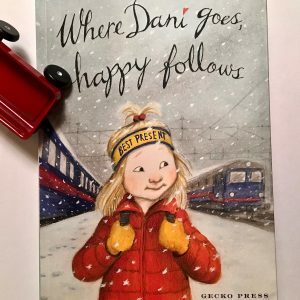 I felt the comfort offered in reading anew when I previewed Where Dani goes, happy follows recently. This series reminds me of the ache I felt for Caroline. 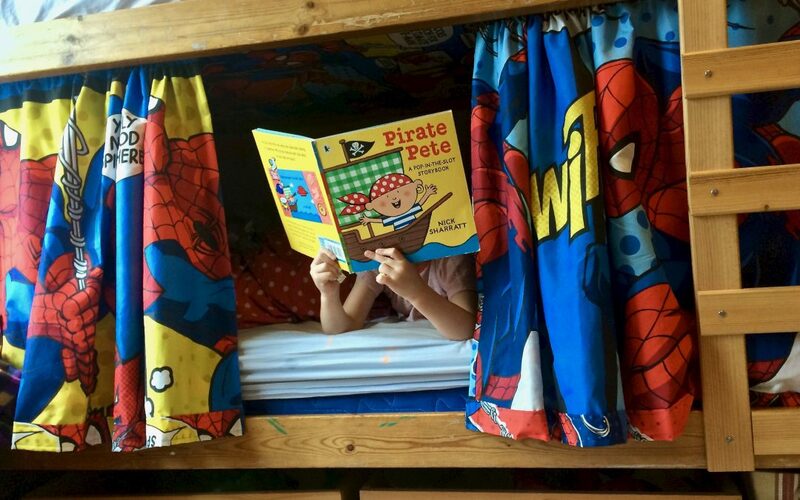 Mr Bookwagon and I have read some outstanding books recently. 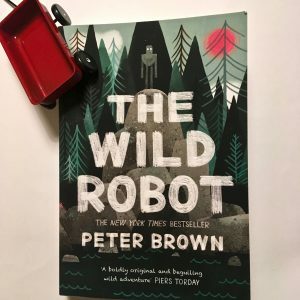 He is still talking about the warmth, wisdom and comfort offered in reading The Wild Robot. This multi-award winning début novel offers a parable for our global community. 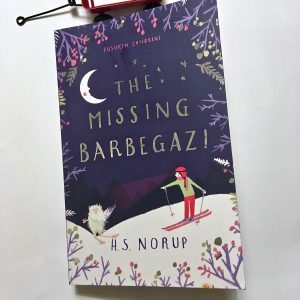 Finally, I read The Missing Barbegazi .Tessa struggles to reconcile herself to the loss of her beloved Opa. She watches her Oma’s heart break with grief. She finds some comfort offered in reading the letters written by Opa of his experiences of the barbegazi, mythical mountain creatures. Tessa is mocked for her preoccupation with them. Yet, somehow, Tessa feels that if she can connect with a barbegazi, as Opa did, she can build bridges and save Oma. The real Winnie-the-Pooh was Winnie (Winnipeg), a black orphan bear cub. Harry Colebourn, a young Canadian equine veterinarian, bought her at White River train station for $20.00. He was en route to Valcartier, to train with the Canadian Expeditionary Force destined for Europe, and WWI. Winnie became mascot to the Canadian Army Veterinary Corps. She travelled to Britain, but was left in Regents Park Zoo, when Harry was deployed to France. 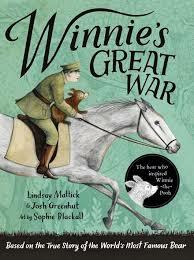 Winnie’s Great War is the story of the bear that became Winnie-the-Pooh, as told by Harry’s granddaughter. It is a compassionate and fascinating history. Reading offers inspiration and meaning. Bookwagon wishes your family the comfort offered in reading through these January days.